BBC Religion & Ethics - Perspectives: Should Britain become a secular state? Perspectives: Should Britain become a secular state? Is it time for Britain to separate Church and State and become a secular state? 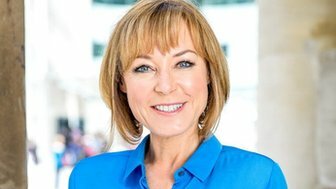 As part of the Perspectives series, BBC Religion and Ethics asked two contributors to BBC One's The Big Questions to develop some of the issues. Myriam Francois-Cerrah is a writer, academic and a Muslim. She believes that the UK today is largely a secular society and that this is already reflected at the level of the state. She says that separating church and the state runs the risk of marginalising religious people and in some cases forwarding an anti-religious agenda. Symon Hill is a left-wing Christian writer, blogger and associate-director of the not-for-profit Christian think tank Ekklesia which "examines the role of beliefs, values and faith in public life". He is author of The No-Nonsense Guide to Religion and believes that the church and the state should be separate. Myriam: Britain is already a deeply secular country. The exception is the Church of England and the privileges it continues to enjoy, including unelected Bishops in the House of Lords. There is certainly public support for a reform of the House of Lords, and that is a good thing. 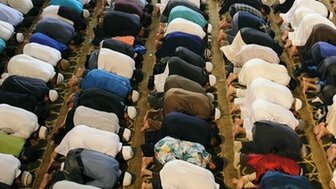 A moderate inclusive secularism is evolving in Britain, rather than a reactionary secularism, such as is found in France, which seeks to banish religion entirely from the public sphere. Do we need to banish all Christian symbolism, rooted as it is in British history, in order to become 'truly' secular - I'm not sure we do. Find out more about the Church of England from the BBC's Nicholas Witchell. What is critical is that the state evolves in a manner which reflects the changing makeup of its citizenry. Prince Charles suggesting he'd rather be referred to as "defender of Faith" rather than defender of 'the' Faith is one such example of this. However I am deeply wary of the trend which seeks to hijack arguments for greater secularism, ie: more equal access to the state by all, in order to seek to marginalise religious people and their presence and voice in the public sphere. This is an intolerant strand within the secularist movement which misinterprets secularism and seeks to redefine it to advance an anti-religious agenda. Symon: I agree that Britain is in some ways a more secular society than it once was, but it is not a secular state. The monarch promises to uphold Christianity. The Church of England's leaders can vote on legislation in Parliament. Religious schools are allowed to discriminate in selection and recruitment. In 2010, the House of Lords narrowly passed an amendment to the Equality Act exempting employees of religious organisations from some aspects of homophobic discrimination. The amendment was passed so narrowly that, without the bishops, the vote would have gone the other way. I reject all this, as a Christian committed to religious liberty. I don't support French-style "secularism" in which religion is marginalised and privatised. A secular state is a neutral state - it should provide for the needs of all its citizens, religious or not. It is the right of tax-paying religious citizens, as all citizens, to access facilities suited to their needs. Discrimination would principally be a problem if these were the only schools on offer, which clearly they are not. I'm in favour of a broader selection process so children of all faiths and none can benefit from faith-based education. You claim to oppose people being forced to adopt certain values and yet it seems you wish to do exactly that. Liberal mores are not neutral - they are one of many ethical perspectives which a neutral, secular state must accommodate. Symon: I'm pleased we agree on some things! For example, faith schools should not be allowed to discriminate. You say that faith schools are not the only ones on offer. For some people, in rural communities, they really are. I went to a Church of England school as a child because it was the village school. The religious teaching that I got there put me off Christianity and turned me temporarily into an atheist, though I later turned to Christ in spite of it! Some of the vestiges of Christianity are indeed symbolic, but symbolism can be important. As a Christian, I am disturbed by what these symbols say about Christianity. During his life, Jesus took the side of the poor and marginalised. He reserved his harshest words for the rich and powerful and for religious hypocrites. In contrast, the monarchy and House of Lords represent privilege and inequality. The radical, subversive message of Christ has been hijacked. Myriam: The lack of non-faith schools available in rural areas suggests we need more schools to cater for different choices, not that faith schools themselves are problematic. 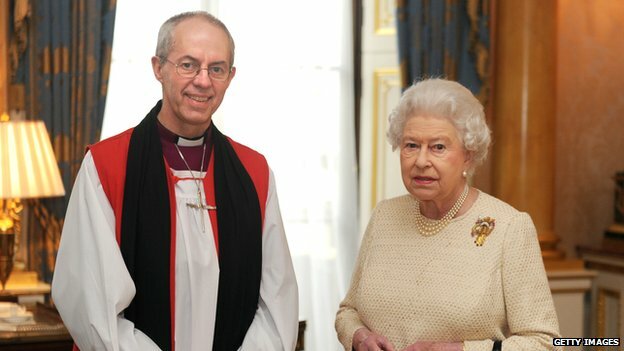 I agree with you that the socially hierarchical Christianity represented by the royal family seems at odds with the message of egalitarianism promoted by both our faiths. My main concern with a desire to do away entirely with Christian symbolism is that it contributes to the fostering of a sense of national identity and culture. If Christianity can be inclusive and embrace the changing nature of British society, then I wouldn't object to its continued presence in the public sphere . Symon: National symbols tend to change over time. There are many people trying to cling on to symbols while forgetting what they represent. There are those who talk of the right to wear a cross, but forget that the cross represents the execution of Jesus by a brutal empire whose power he challenged. It symbolises resistance to oppression. Yet there are right-wing lobby groups that talk up the idea of "preserving Britain's Christian heritage" or insist that "Britain is a Christian country". They overlook the fact that the British Empire was claiming to be Christian while engaged in the slave trade and while committing genocide in Tasmania. While Christian symbols are still attached to an outdated and reactionary idea of what it means to be British, Christian language can be misused as an excuse for homophobia and racial prejudice. Myriam: Like you, I would like to see religion siding with the poor and disenfranchised rather than seeking to perpetuate privilege and an antiquated social hierarchy based on class. But I hope to see more religion, rather than less religion in the public sphere in the future, including voices with which I may profoundly disagree. A secular state - in other words, a neutral state - shouldn't seek to impose a particular vision of morality beyond the very basic bounds of avoiding direct harm to others. Today, religious voices are often ridiculed and derided as outmoded, with little value for the modern world. But this is throwing out a rich inheritance - we shouldn't throw out the proverbial baby with the bath water. Religion is about fostering compassion, love and kindness towards others - it seems tragic that we as a society have virtually relegated religion to the history books. A secular state and a rich religious life are absolutely not in contradiction, but I do hope secularism isn't used as a Trojan horse to advance anti-religious intolerance, which fails to recognise the true value of religion and religious individuals to the greater good of our society. Perspectives is a forum for invited contributors to write about personal and contemporary issues of faith and ethics. The views expressed here are those of the individual authors, not the BBC.